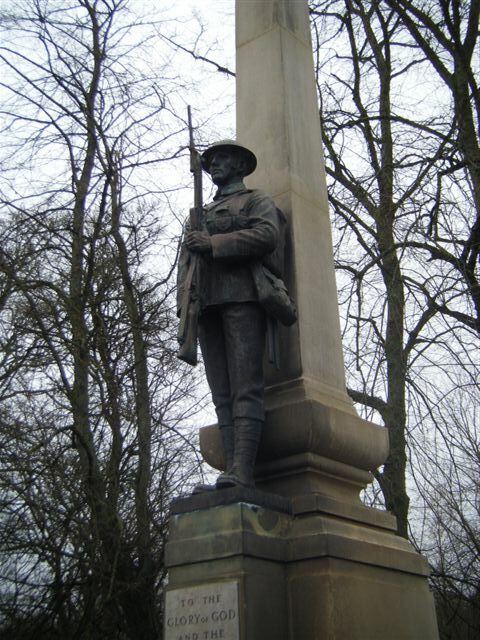 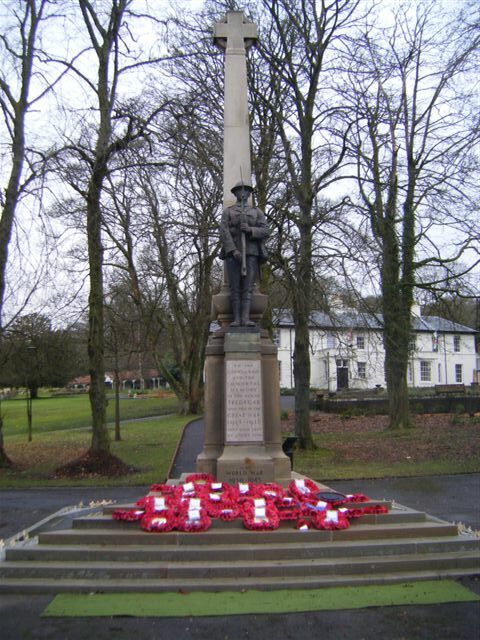 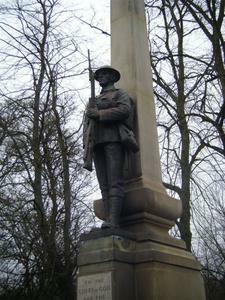 Soldier holding rifle in 'present arms' position placed in front of obelisk/celtic cross. 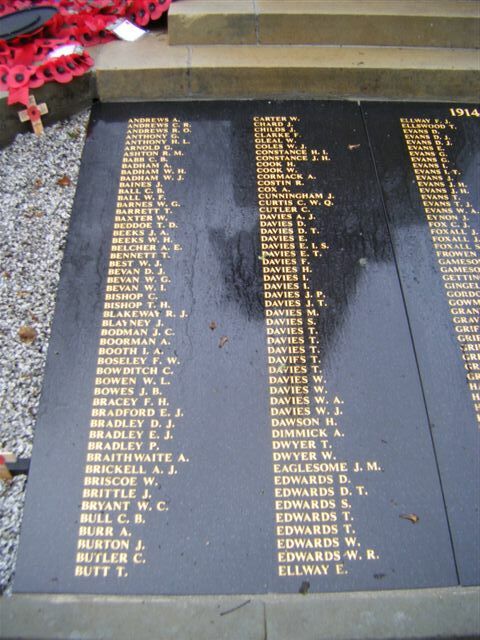 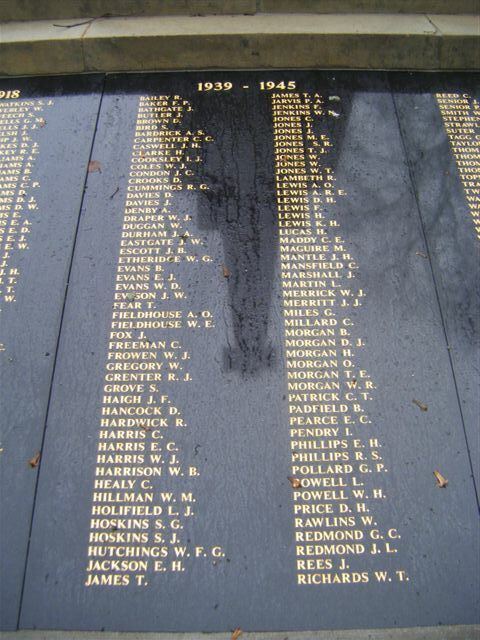 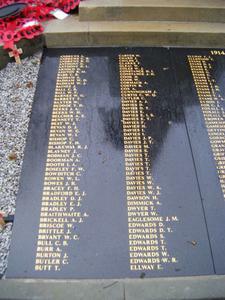 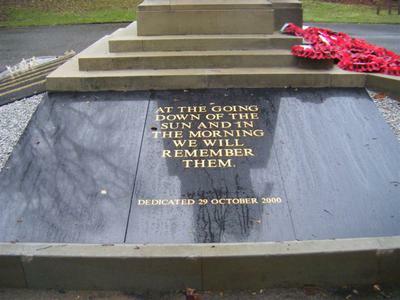 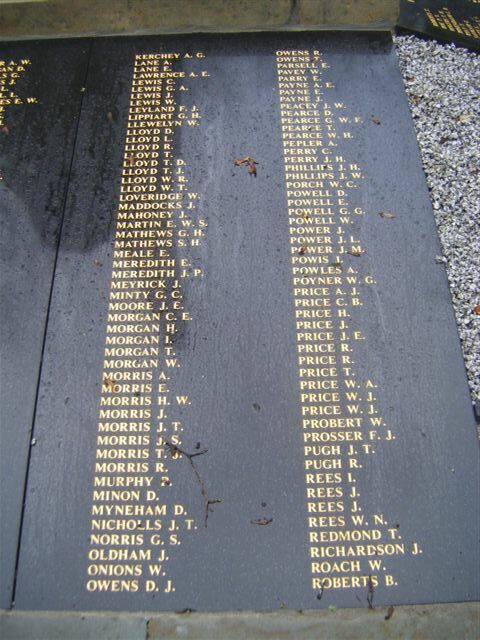 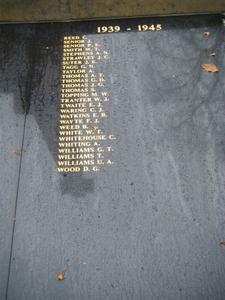 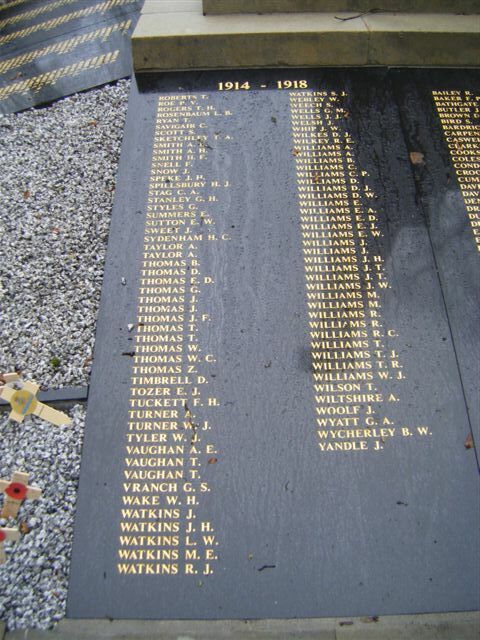 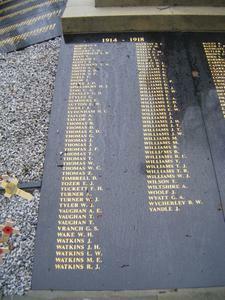 Black granite tablets laid at base of Memorial with gilded inscription and names. 2013: Renovation conducted by Tredegar Town Council. 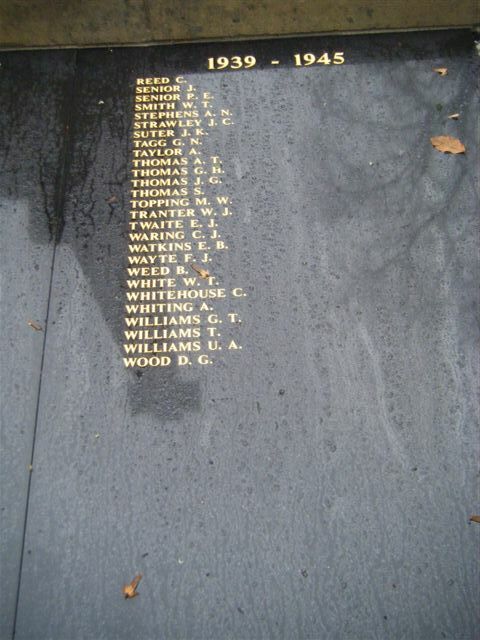 Including amendments to two spelling mistakes of inscribed names. 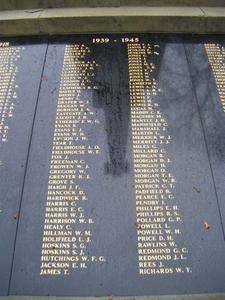 2012: Mossfords of Cardiff carried out cleaning and refurbishment works. 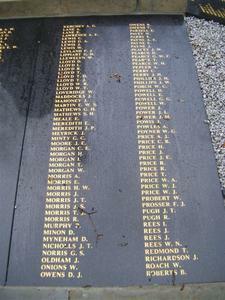 2000: Tablets added to memorial.